Late last week, meteorologists from the National Weather Service office in St. Louis picked up an usual formation steadily making its way south over the state of Missouri. On their weather radar, the strange, undulating mass looked a bit like a large storm system moving through area. But, as it turns out, that ominous "cloud" was actually something far more cheerful - a giant swarm of beautiful butterflies. "Keen observers of our radar data probably noticed some fairly high returns moving south over southern Illinois and central Missouri. High differential reflectivity values as well as low correlation coefficient values indicate these are most likely biological targets," writes the National Weather Service, on Facebook. "High differential reflectivity indicates these are oblate targets, and low correlation coefficient means the targets are changing shape. We think these targets are Monarch butterflies. A Monarch in flight would look oblate to the radar, and flapping wings would account for the changing shape!" Every year, millions of these beloved flutterers fly en masse from Canada and the U.S. to wintering grounds in Mexico, pollinating fields and farmland along the way. 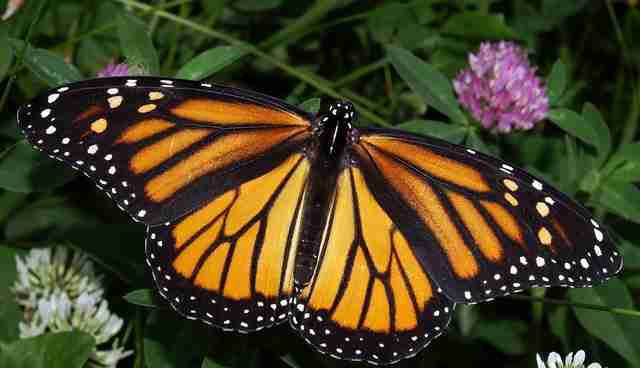 In fact, the roughly 3,000 mile journey makes theirs the longest migration of any butterfly species on earth. 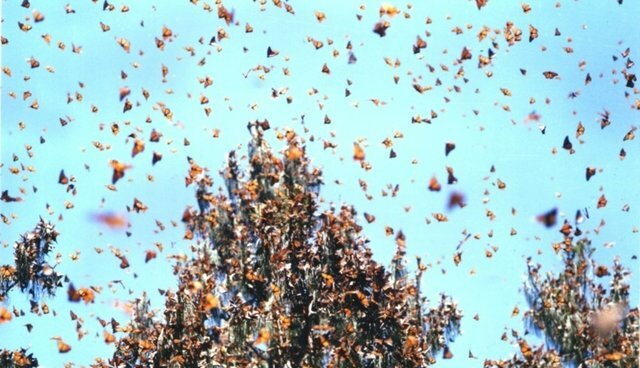 But the sighting of this swarm isn't just notable for having been picked up on radar, it comes at a time when monarch butterflies have been in decline due to habitat loss and herbicide use in their fragile breeding grounds. For the last two decades, the species' numbers have fallen dramatically, from as many as a billion to just around 35 million last winter. The loss of this species could spell trouble for American agriculture. Three-fourths of all crops in the U.S. rely upon pollinators, like monarch butterflies - making them not only one of the most beautiful creatures on the planet, but also one of the most essential.